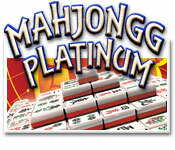 Embark on a new and exciting Mahjongg adventure brimming with surprises in Mahjongg Platinum 4! Master a classic game as you journey through rich environments and find bonus powerups. Dive into multiple game variations and explore the intriguing layouts and vibrant backgrounds, and even create your own tile sets with the in-game editor! Step into the shoes of a detective who has been approached by the FBI to take over a terrifying case and stop a Dark Ritual!